Control your TV with a smartphone; stream content directly from your tablet to your PS3. The connected home is coming, and the Xperia T is at its heart. The days when our homes were filled with disparate devices are gone – the future of technology is connection, and Sony offers you the chance to simply share content no matter what device you're using. Got a Smart BRAVIA TV? Use your Sony Xperia T to access a wealth of content online or switch channels. Use your Xperia Tablet S to stream the latest movie to your PS3 or quickly display your favourite photos from your VAIO laptop on the big screen. 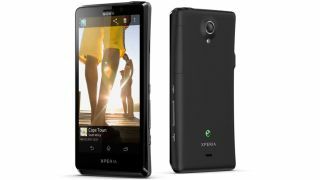 Using the pre-installed apps on your Sony Xperia T or Xperia Tablet S you'll get access to millions of tracks, the latest movies or your entire photo collection on any device. Streaming the latest album on your smartphone? Use the inbuilt NFC and Sony's Xperia SmartTags to quickly begin playing it through your home cinema system. Bought a video on your PS3? Your universal Sony Entertainment Network login lets you pick up where you left off on your Sony tablet on the go. We all want to share our favourite photos, so with Sony PlayMemories you'll get 5GB of online storage to see your snaps on your BRAVIA TV, VAIO laptop or PS3 with no hassle. So get on board with Sony's vision of the connected home: be it TV, tablet, smartphone or laptop you'll have instant access to all the content you care about.